I spent an inordinate amount of time on the Camino obsessing over people’s gear. What shoes were they wearing (the hiking boot vs trail runner question has still not been resolved to my satisfaction)? What brand was that? 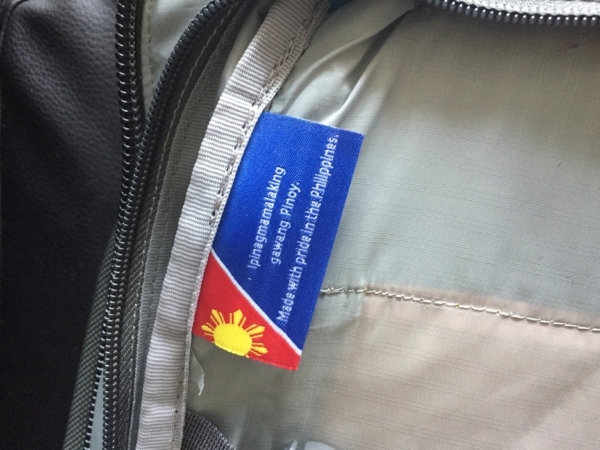 (Discovered Quechua, Hyperlite, Boreal and A Bathing Ape while on the Camino). Poles or no poles? How the hell can that woman hike in denim shorts?!? But what kept my mind occupied over many a mile was the backpack issue: how many cubic liters does it hold, who makes it, rain cover or no, how much does it weigh….and most importantly, how much better is it than mine? Must not look: dorky, touristy, overly outdoorsy, too big for my short frame. Or dumb. I’ll spare you the Goldilocks of it all, but suffice to say that I tried on, purchased and returned several bags of various brands, including, but not limited to: Patagonia, Tortuga, North Face, Osprey, GoRuck, Minaal, Eagle Creek. None of them were right. And then I discovered the Cotopaxi Allpa. 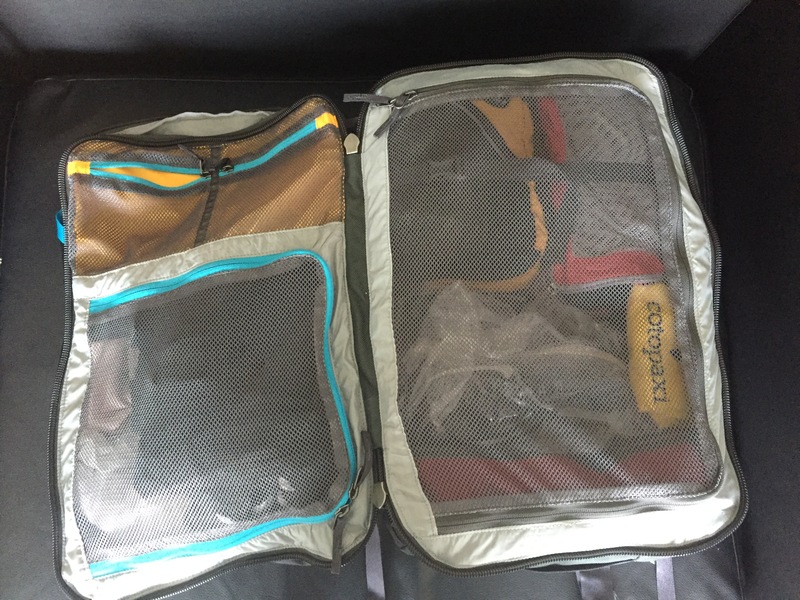 I tried not to get too excited by the video, which showed this perfectly packed bag that had everything I wanted–the size was right, it had a bunch of organizer pockets for all of Squirrel’s randoms, a hip belt & padded shoulder straps that tucked away. Plus it was kinda cute. And when I put it on, it actually fit me, which trust me, is no small feat (the poor guy in REI Santa Barbara was beet red when he informed me that the only backpack they had with a torso short enough was a 22L kids pack). **super bonus: the pack was created with Pinoy Power. Just sayin’. Only time will tell if the Cotopaxi is the real deal or just good on paper. But for now, I’m pretty happy I found this. I think it’ll be plenty big enough to hold what I’ll need for the next few months (ball gown for wedding and high heels excepted, of course). next post: Oh why didn’t we fly?